Looking for a new summer sport for your child? Kids rearing to get back into the summer season? TRY T-BALL and JUNIOR REGISTRATION (players 4-16 years of age) will be held on Sunday 16th and 23rd July 12-3pm. 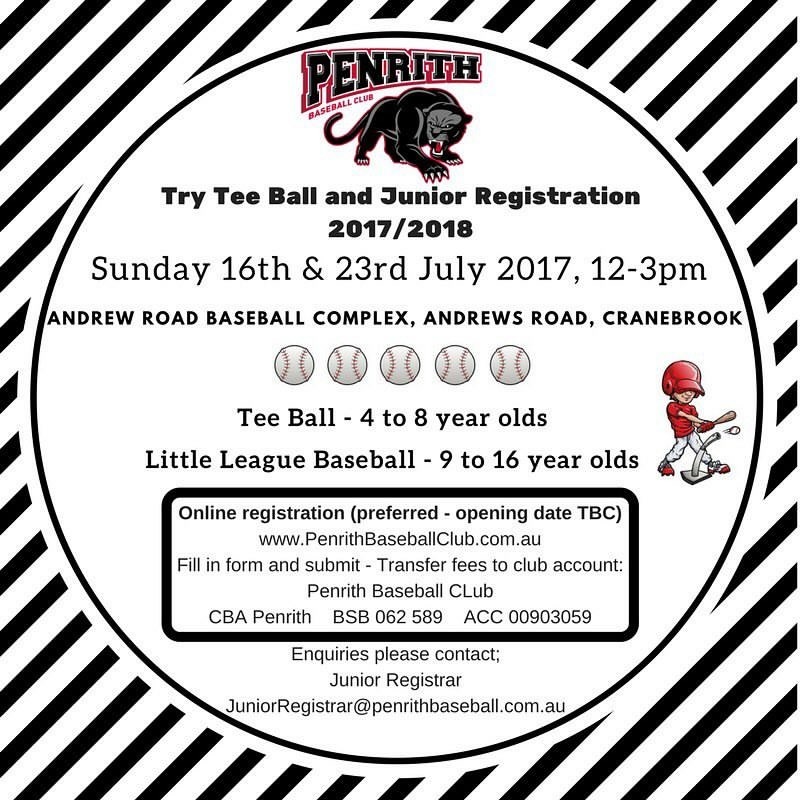 Looking forward to seeing all past, present and future players gearing up for the summer season at Penrith Baseball! . No Replies to "Try T Ball & Junior Registration"